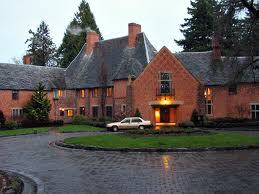 Right after my visit to Reed College, I went to Lewis & Clark College (www.lclark.edu). Located on top of a hill in Portland, Lewis & Clark is probably the "woodiest" campus I've ever seen. It's a bit like going to school in Baguio in the middle of the trees and such. [caption id="attachment_1236" align="aligncenter" width="300"] This gives you an idea of how it's like to walk around the Lewis and Clark campus. Doesn't it seem like you're going to school in a forest? But you're only a free shuttle bus ride from downtown Portland. 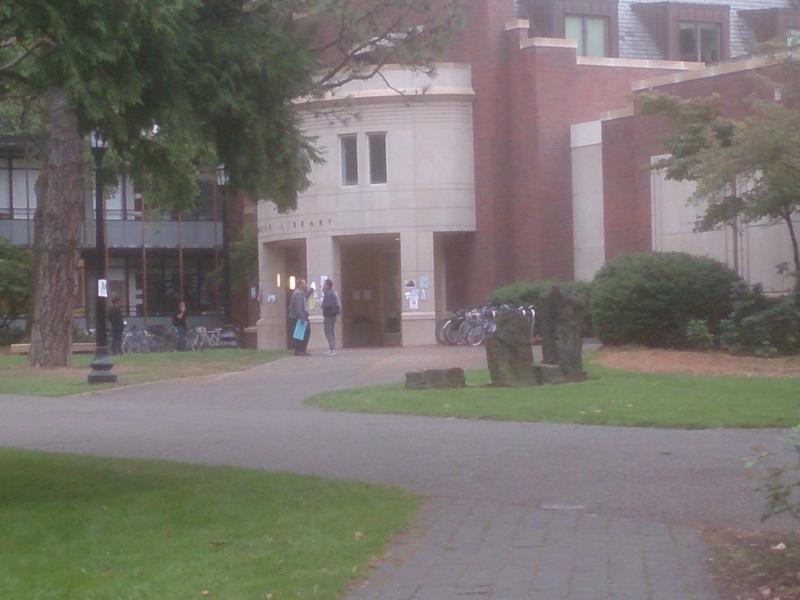 [/caption] Lewis & Clark is a small liberal arts college (undergrad enrollment: 2,000) in Portland, Oregon. Besides the undergrad College of Arts and Sciences, Lewis & Clark also has a law school and a Graduate School of Education and Counseling. The Admissions Office is in the Frank Manor Building, a beautiful mansion acquired by the college in 1942. [caption id="attachment_1238" align="aligncenter" width="259"] The Frank Manor. The insides still look very much like a home and I was asked to wait for my guided tour in what would be the living room of the house. Beautiful! [/caption] What made Lewis & Clark stand out for me is the flexibility of their admissions procedure. Despite the fact that entrance to Lewis and Clark is competitive, it has a test optional application path. Instead of turning in test scores, a student can opt to submit an academic portfolio if he or she feels that his or her test scores don't reflect his or her academic capability. This portfolio should include one sample of analytic writing (research paper, expository writing, essay exam) and one of quantitative/scientific work (lab report, science test, etc.) 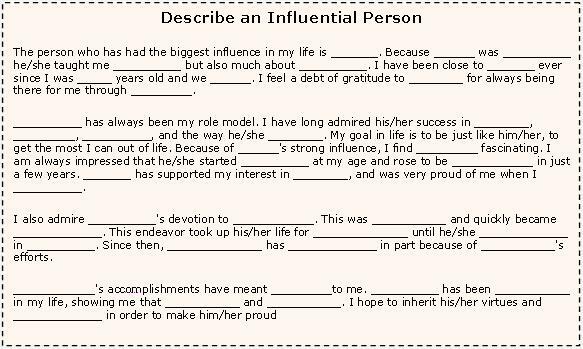 These should be coupled with references from a math/science teacher and a social studies/English teacher. Lewis & Clark is especially well known for international relations. More recently, they have put together a neuroscience minor (psychology + biology) and entrepreneurship. While they don't meet full need, international students can apply for financial aid but be aware that doing so makes it more difficult to be admitted. 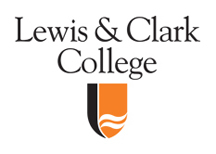 Lewis & Clark strikes me as a rigorous liberal arts college that would be a worthy destination for the motivated student. Another big plus for it is its location near a major metropolitan area: Portland is easily overshadowed in the eyes of international students by cities like New York, Los Angeles, Boston, etc. But it would be a mistake to dismiss Portland, a medium sized city, beautiful and cosmopolitan with a character of its own. As an interesting postscript, several weeks after I visited,, their admissions rep (Bridget Flaherty) came to Manila to visit ISM and British School. It was my pleasure to welcome her to Manila and repay her gracious hospitality when I went to visit Lewis & Clark. 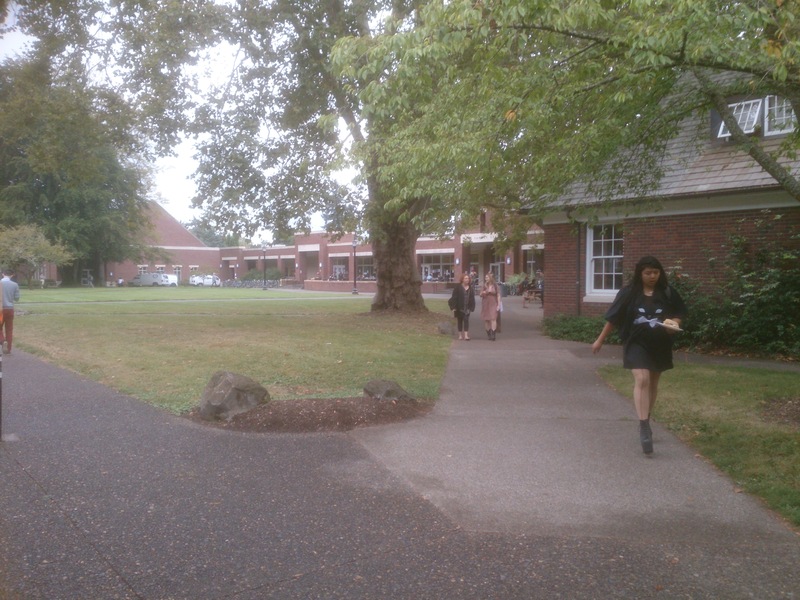 Last September 5, I was in Portland, Oregon and was fortunate to be able to visit Reed College. The subject of a previous post on on this blog, I had never stepped foot on campus until that day. I wondered if what I would see would live up to what I had written. I arrived at the Admission Office a bit early for my 9:30 am information session. 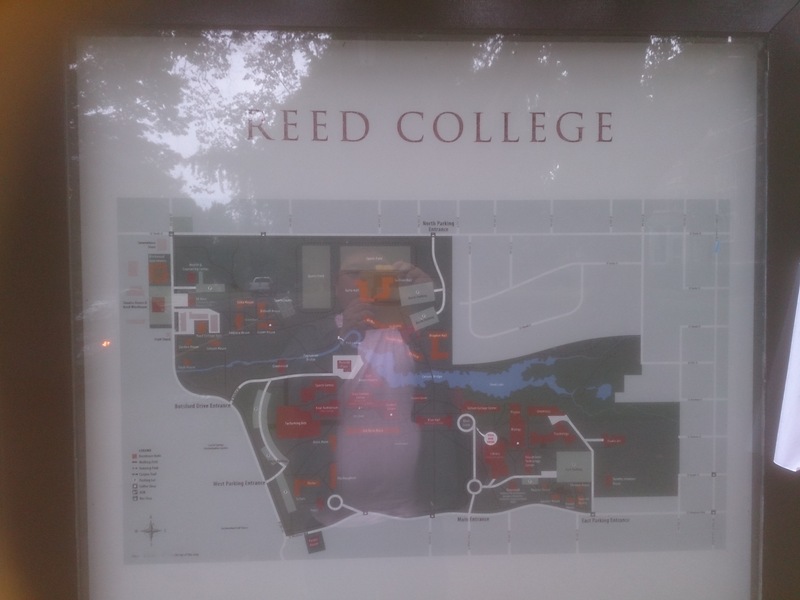 I sat and chatted with the friendly receptionist until we (I was joined by two prospective students from California and their parents) were led to the "third largest classroom at Reed" by Crawford Marr, an admissions representative and Reed College Class of 1990. The so-called third largest Reed classroom was on the second floor of Eliot Hall where the Admission Office was located and was not much larger than a typical college classroom which would seat about thirty students. Third largest? Indeed. The large majority of Reed classrooms were seminar rooms which sit ten to twelve students for discussion (not lecture). Crawford didn't bring a laptop with the usual PowerPoint presentation...all he brought were a couple of books which were required reading for freshmen (Gilgamesh and Homer's Odyssey) as well as a few senior theses which he promised he would let us look through but never did. Sitting in the classroom, Crawford expounded on the academic life of Reed. He spoke enthusiastically about Reed's liberal arts tradition, intermixed with its strong math and science programs. He talked about the senior thesis which all students were required to write in order to graduate. Call me crazy but he spoke in almost reverential tones when it came to the thesis. It's what "students come to Reed for..." and "the thesis is a tradition that binds all Reedies past, present, and future together..." That and Humanities 110 (or Hum 110), a class all freshmen take regardless of major. Hum 110 delves into the foundations of Western thought and civilization. Crawford said they used to start with Homer's Iliad but now they go back even further several thousand years to the Epic of Gilgamesh which dates to the dawn of civilization itself with the Sumerians. 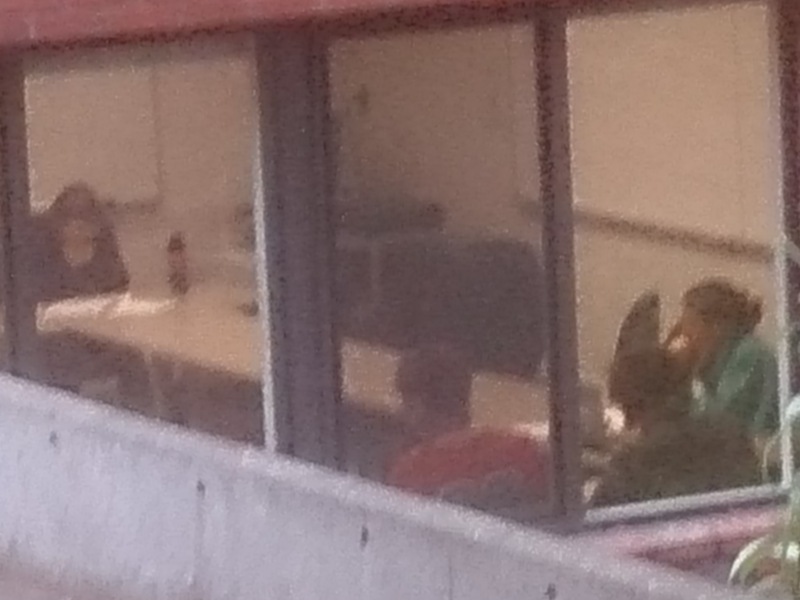 Hum 110 is taught in lecture but then broken up into discussion sessions with the teaching faculty. It is said that this class teaches Reedies how to read, think, write, and reason like a Reedie. Throughout this time, Crawford spoke with a soft yet passionate voice and it's obvious that he's proud to be a Reedie. He was relieved to see some changes in the college since his time...there are a lot more support services for students. Back in his time, Reed was more of a sink or swim kind of place. Hello from warm and sunny Waterloo, Ontario in Canada. I veer away a little bit from my usual US focus to write about universities in the Great White North. I'm here bringing my son Tyler to college. In a few days, he will begin his freshman year at the University of Waterloo. He's in the middle of International Student Life 101 and I'm doing Parents Orientation. The University of Waterloo is in a fairly large, well kept campus (404 hectares). It is well known for its science, math and engineering programs as well as its cooperative education (co-op) program which is the largest in the world. More on co-op programs in a later post. [caption id="" align="alignright" width="200"] University of Waterloo (Photo credit: Wikipedia)[/caption] So why should you look at Canadian universities? 1. They're cheaper than their American counterparts. From the very beginning, my son's college search included Canadian schools primarily for this reason. You'll pay about half of what you will pay to attend an elite American university with no drop off in quality. And if you happen to be a Canadian citizen (as more and more Filipinos are) it's even cheaper. 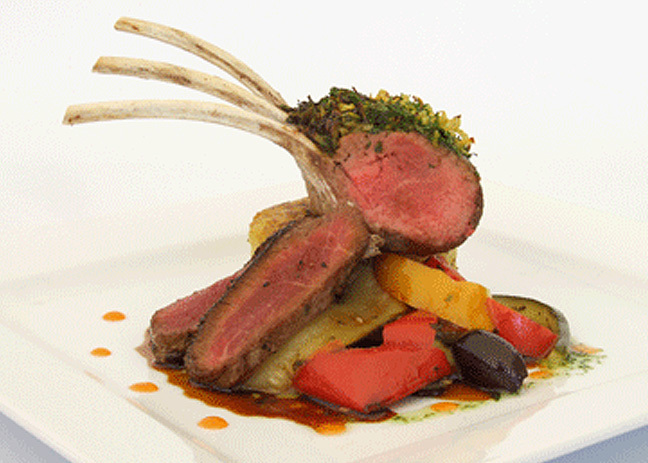 2. International students can work off-campus. After six months studying in Canada, you can work the potentially more lucrative off-campus jobs. In the US, international students need permission from Immigration to work off-campus. 3. After graduating, Canada grants a 3 year work permit. After graduation, you can be issued a work permit by the Canadian government to work in Canada for as much as three years. You can then use this time to apply to become a permanent resident In the US, you can work for only one year using your student visa (they call this "practical training") . After one year, your employer must sponsor you for an H-1B visa. 4. Co-operative education is more of a fixture in Canadian universities. This type of education, which sandwiches paid work terms with regular study terms, is much more widespread in Canada than it is in the US. Since the students are paid real money, you can use the money you make to help pay tuition, making a Canadian education easier to finance. 5. Less liberal arts emphasis. Depending on what you want from your college education, this may or may not be a good thing. Canadian universities (following the British system of higher education) tend to skip over or at least minimize, the "junk" classes of American universities like English or political science. If you want to study math, you get math, math, math, some physics, math, math, and maybe a little psychology thrown in your freshman year. I think this is a terrible way of educating the college student, I'm a firm believer in the liberal arts tradition...but hey, what do I know, right? One big disadvantage of Canadian universities: the weather. Depending on where you decide to go, this can be a real issue. 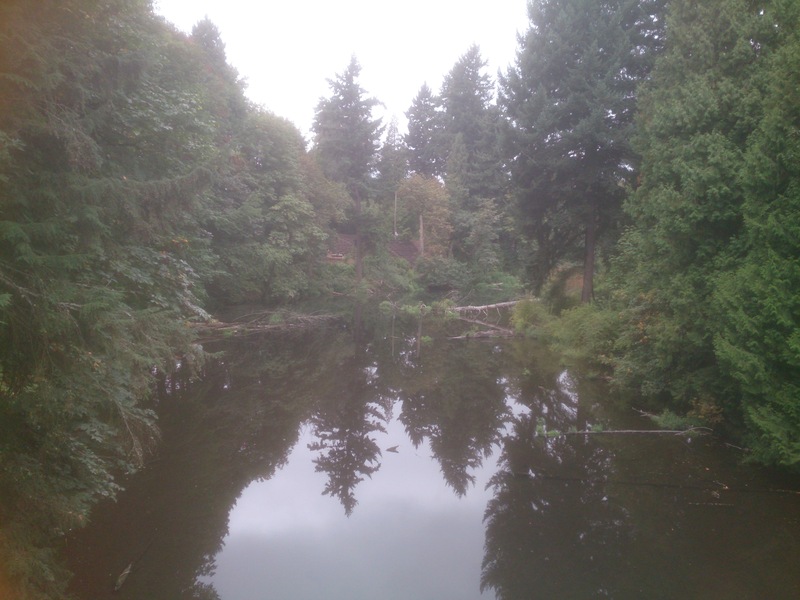 If you choose to attend the University of British Columbia in Vancouver, you'll be in more temperate weather. But if you go to school in Alberta or (like my son) the University of Waterloo, then pack some VERY warm clothes. In January, the temperature is ALMOST ALWAYS below freezing in Waterloo. Another big disadvantage for us Filipinos: unless you are enrolled in an IB program or an American style or British style curriculum, Canadian universities will not admit you. They're wary of our ten year pre-university curriculum (yes, I know you went to Grade 7 but still...) Solution: Attend a Philippine university for one year then apply to Canadian universities as a freshman. 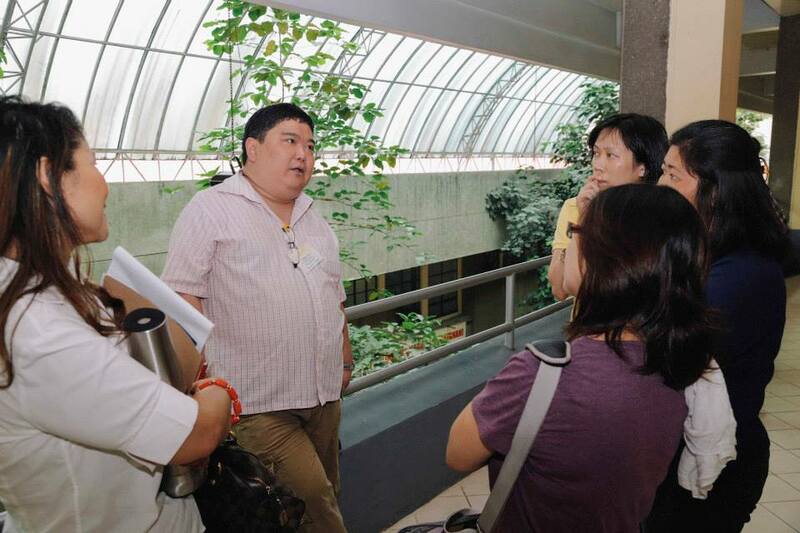 You have to start over because those UP/Ateneo units will not be given Canadian college credit. Those two things aside, there's real reason to consider spending your university career in Canada. For some reason, people get fixated on schools in the States. At least keep Canada in mind. You'd be stupid not to. [caption id="" align="aligncenter" width="520"] Just like Santa Claus at Christmas, you have to make a well researched college list. Which colleges will make your "nice" list? [/caption] At some point, you will need to sit down and make a list of about eight to ten colleges that will have the pleasure of receiving and considering your admission application. 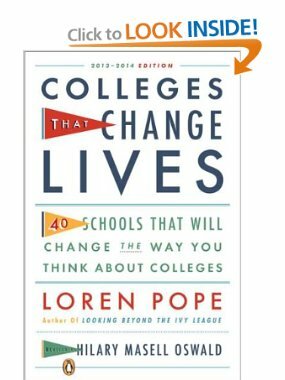 There are over 3,000 colleges and universities in the US and though the Common Application makes it very easy (albeit very expensive) to apply to several hundred colleges, the number of recommendations that must be written for you and the number of supplements you have to fill out for each college makes a list of more than 10 impractical. At this point, someone in the back of the audience will raise his hand and ask, "Why only ten? 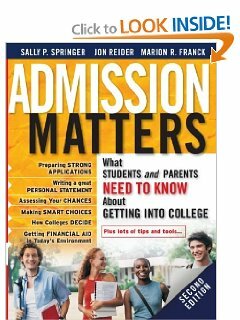 With the intense competition for admissions these days, you should be applying to at least twelve (or fifteen, or twenty) schools MINIMUM." 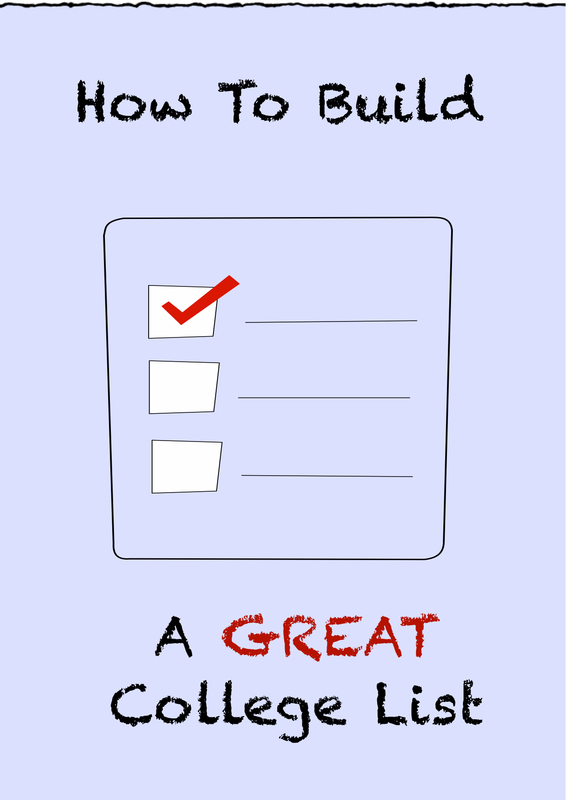 Well, if you do your homework and research your list carefully, you shouldn't need to apply to much more than eight or ten CAREFULLY selected choices. And again, if you make your list carefully enough, you will be ASSURED admission into at least one, if not several, excellent colleges. At International School Manila, students are not allowed to apply to more than 10 colleges total (exception: 5 UK colleges are considered only one college for the purposes of this rule). Xavier School is also putting a similar rule in place. The "ten maximum" rule also helps you because it demands that you do your college research. This is very important. Remember, you are looking for a school that will fit YOU. 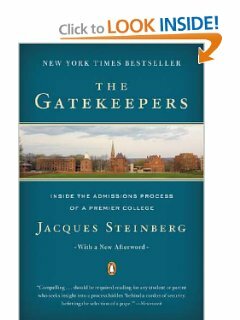 Don't just apply to a college just because of its name or because of perceived prestige. Don't apply to a school just because your uncle who lives in the States swears it's a great school. 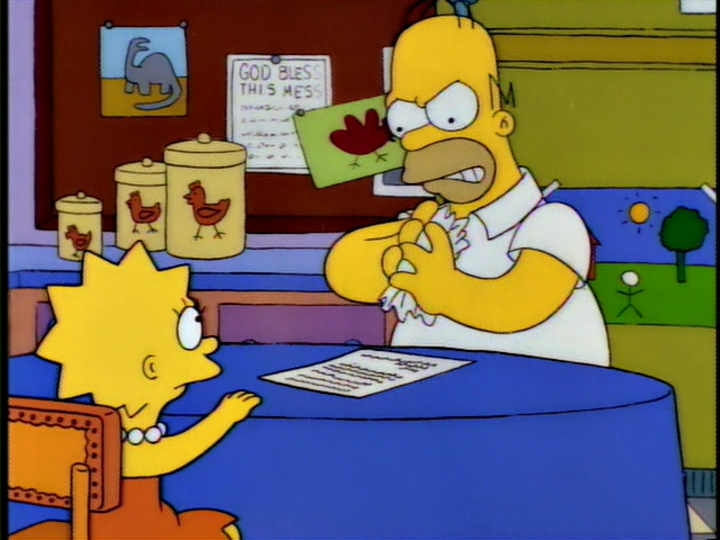 Don't get me wrong, your uncle's recommendation is a great place to start...to start your research. In an earlier post (Where Do I Begin) I talked about using online college databases to cut down your choices. You can search by your major, your interests, or even your non-interests! For example, if the fraternity/sorority scene (college publications call this the "Greek" scene. They're called that because fraternities and sororities use Greek letters in their name) is not your cup of tea then you can specifically eliminate them in your search parameters. When you've come to about ten or twenty schools, then you want to look at each more carefully through their website and by specifically asking for information about the college. 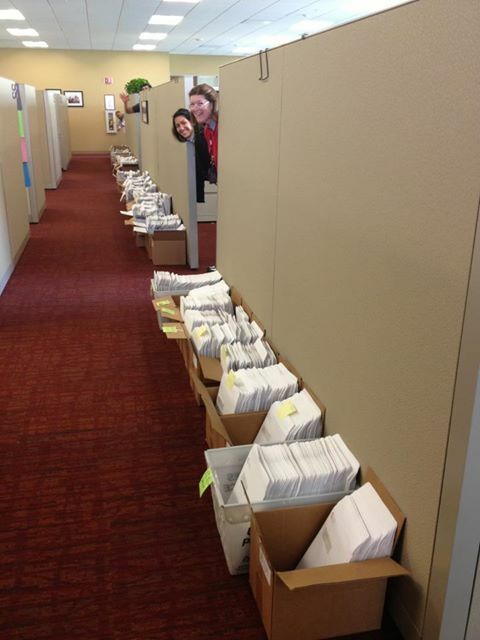 Go to a college fair, meet the representatives and make sure you get on their mailing list. 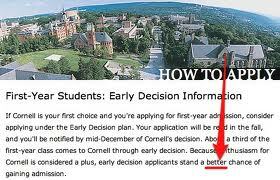 This also helps your admission chances because you have demonstrated interest in their school. Visit the schools during summer vacation, if you can. We here in the Philippines are at a distinct advantage because our summer coincides with spring in the US. Classes are still in session and you can actually talk to students and possibly visit classes and talk to professors. Hopefully by the start of your senior year, you will have, or be close to having, your Final Ten (or fewer) so that by August 1, when the new Common Application comes online, you are ready to apply. But how to choose your Final Ten? 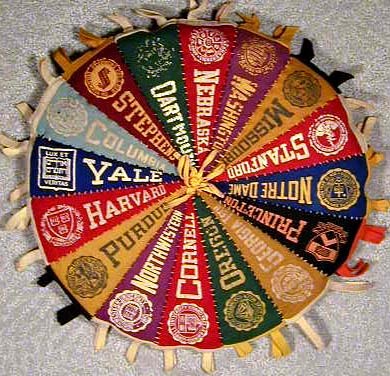 A time honored college application strategy is to spread your applications among college within a spectrum of admission chances. This means you should have about three or four colleges on your list which your chances of admission are fairly certain. These are sometimes called your "safety" schools. If you can't get in anywhere else, you should be able to get into these. Then you have your medium shots or your "possibles" where your chances of being admitted range from fairly likely to 50-50 to not too likely. Finally, you can allocate two or three slots to your long shot colleges where your chances of admission are not likely but not impossible. You can think of it like a pyramid where you have more schools at the bottom and maybe one or two really long shots. A lot of people make the mistake of applying to many long shot schools and very few safety schools which are usually afterthoughts. Don't make that mistake! There's a commandment in the college application game: Thou shalt love thy safeties because you might end up going to one of them. People end up with too many long shots usually because of shoddy research. You're not trying hard enough to find colleges that you might not have heard of but are nonetheless excellent. For example, let's say you want to study international relations. Well, when you talk international relations, the first school that pops into my head is Georgetown University, the Jesuit university in Washington, DC. Unfortunately, Georgetown is pretty competitive. 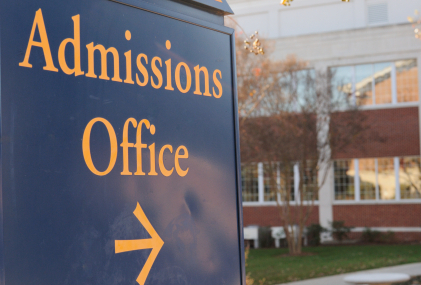 In the last application season (2013), Georgetown admitted only about 20% of its applicants. Clearly, this is a long shot university for most students. A little digging around will show you that even in just the Washington DC area, you have a number of excellent, less competitive alternatives: George Washington University, American University, Goucher College (in Baltimore). Beloit in Wisconsin is excellent as is Brandeis University in Massachusetts. My favorite college, Reed, also has a noted international studies program. 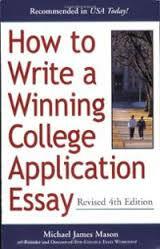 (Fiske Guide to the Colleges 2013 edition) A knowledgeable guidance counselor is an excellent source of information regarding what colleges to look at or consider. Unfortunately, for most Filipino students (the ones who don't study in the very expensive international schools), their guidance counselors know little or nothing about US colleges. This is where an independent US college guidance counselor might come in handy. But how will you know what's a safety for you and what's a possible and what's a long shot? The answers vary from individual to individual. Depending on the strength of your academic record, one student's safety is another student's possible. There is one very important rule though: no matter who you are and how strong your record is the Ivies and their clones are ALL long shots. Just because you have straight A's and perfect SAT scores, it does not mean you are a shoo in for Harvard or Stanford. 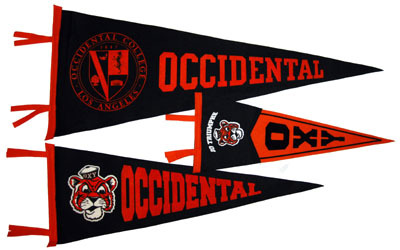 Those two schools turn away more than 90% of their applicants. They see--and reject--straight A, perfect SAT students all the time. Besides, if you are a straight A, perfect SAT score student, don't you deserve a better undergraduate education than Harvard or Stanford? For a school to qualify as a safety, your grade point average (GPA) should be on the high end if not exceed the median GPA of the students they admitted last year. Your total SAT score should significantly exceed (100 points?) the midrange of that school's SAT range. Where do you find all this information? It can usually be found on the college's website or simply Google it (What was the median SAT for freshmen applicants to Santa Clara University? Answer: 600-690 Math, 570 to 680 Critical Reading) It will also be a good safety candidate if the college accepted at least half of its applicants. For a possible or medium shot college, you should be in the middle of the range. Note that these are all estimates and just because you have a 780 in your math SAT, it doesn't mean you're getting into Santa Clara automatically. Finally, let's look at my son's (Tyler's) college list in the recently concluded 2013 college application season. He applied to six places: Toronto, Waterloo, Reed, NYU, Santa Clara, and Harvey Mudd. He researched and visited (except for Reed) all these colleges. He liked all these schools and even if he had a clear favorite (Waterloo) he would not have objected to attending any one of the six. We evaluated Toronto and Santa Clara as safeties, Waterloo was a moderate safety, NYU was a medium, Reed was a medium long and Harvey Mudd was the long shot. 1. Note that he applied to only six schools, there was no point in applying to the big name schools that he didn't like anyway. We were able to get a reasonable spread of admission chances across the board. 2. His favorite, Waterloo, was a moderate safety, not a very competitive school admissions-wise. Your favorite school doesn't always have to be the long shot. Your favorite school should be just that...your favorite. 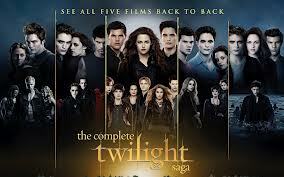 In the end, he got into his first choice college and was also admitted to a good choice of alternatives besides. Had he simply shotgunned his applications to the Ivies and other big names, he may not have had the pleasure of being admitted to his first choice and would have had to settle for second best. But he didn't because he worked carefully to develop a well balanced college list which assured him of some admissions but also the possibility of getting into one or two long shots, all at schools he would have been happy to attend. So do your homework and do the research. That way, at the end of the process, you will find yourself with several positive choices to make. Good luck. Comments urgently solicited. Chicago and of course, Northwestern. Don't get me wrong, they're great places to visit but I think if you go only to big name colleges, you'll miss an important aspect of your college visits: variety.